Welcome. I'm your host, Dave, and this is my humble attempt at sharing my experiences at both ends of the Earth. I've been fortunate to have visited the Arctic and am now spending a year on the coast of Antarctica. It is my intent to communicate my travels in such a way as to give you, my readers, a chance to be part of them. There are some people who, for whatever reason, aren't content with a 9-5 job and the house in the suburbs. For them life offers something more and it is found neither in the confines of an office cubicle nor in a BMW showroom. 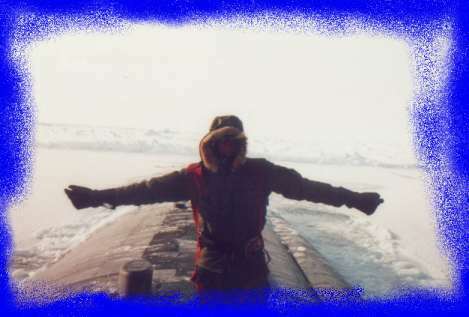 And although this site was originally conceived as a hobby to keep me occupied during my upcoming stay on "the ice", I also hope to stir the passions in others who share the same sense of adventure that has afflicted me over the years. To that end, here you'll find pictures, stories, and even a bulletin board where you can ask questions and speak with others who drop by from time to time. There's also a reference section with links to other sites where you can learn more about Earth's polar regions. And when I'm not overly taxed or feeling too lazy, there's even a web cam (internet connection permitting) and a journal chronicling my time at McMurdo Station in Antarctica. I hope to have lots for you to explore and will keep adding to the site as time goes by. So, check back often. For the present, make yourself comfortable and enjoy your stay. Keep warm, and thanks for stopping by.